My daughter came home from school with a textbook response for what "emunas chachomim" is. I disagreed strongly with what was written in the book, so I'm not even going to say what they said. Rather, I will ask the learned forum here if they have any good sources for what the origin is of this term, and what it means. "Emunat Chachamim" Comes from Avot 6:6 where a list of 48 ways of achieving Torah wisdom are mentioned. There are many commentatries on Avot in general and this mishna in particular, all saying slightly different things. However.. Traditionally, this phrase is meant to mean that you must trust those people who are wiser than you to give over the tradition accurately. A story is told in the Talmud (Shabbos 31a) where a convert asks Rabbi Hillel for the written Torah but not the Oral Torah. The first day the student is taught the aleph-bet properly. The second day, he is taught the Aleph Bet wrongly. The student asks what is going on, and Rabbi Hillel says something along the lines of: "Just as you trust me to teach you the written Torah, you must trust me with the Oral Torah." This is the basis of Emnuat Chachamim. As a general rule, it is a good idea to trust your teachers and not question them every step of the way. This leads you to being able to gain more knowledge more quickly, and once you know more, you can then go back and question the things that were difficult or not very believable. As they say, in design and literature, one must know the rules well before you can successfully break them. I think Avi nailed it, just to add my own spin. Rabbi Moshe Feinstein wrote that he welcomed critiques of his halachic stances, if someone felt the sources better indicated a different view. He made no promises that his final product of p'sak (ruling) was perfect every time, only that his process was a good one and that he worked on it quite a bit. So I can believe that most rabbis mean very well and are trying very hard without having to believe that they're therefore always right. But I strongly suspect that this term's transition from one thing on a list of 48 to a major buzzword only happened within the past 150 years. Would be fascinating to search for the term's prevalence elsewhere. And of course Avos Chapter 6 isn't technically Mishnah, it's braisa that was added on later. What does EMUNAT HACHAMIM mean? Originally it meant “the faith OF the sages;” anti-Maimonideans changed the semantics of this term to mean “faith IN the sages.” Since generally their audience is grammatically illiterate, the change remained unnoticed. Side note: chapter 6 of avoth, where this term is used is, is not in the original Canon of mishnayot, it was likely written in medievel period and also not found in Rambams version of the Mishnah. Not the answer you're looking for? 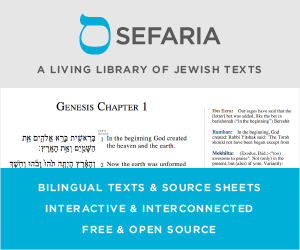 Browse other questions tagged words hashkafah-philosophy rabbis mesorah-tradition daas-torah . Do the sages ever use the word “Jews” to describe the B'nai Israel before the Assyrian captivity? What were Alter Halpern's main issues with Marcus Jastrow's Dictionary? How does Rav Saadia Gaon account for the suffering of children?